Ramsey’s breakthrough helped liberate Arteta who before then was the sole entity that separated defence from attack. He performed admirablynevertheless, but with Ramsey alongside him, Arsenal never looked better. * Actually, Vermaelen might have dropped out of the starting line-up much sooner, but Wenger kept him in because he felt his stature as captain, not to mention his left-footedness, would help ease Naxto Monreal into the side quicker. But as shown in the 2-1 defeat to Tottenham Hotspur, Vermaelen’s notorious impetuousness – a part of his game which we had thought captaincy had reigned in – was self-perpetuating, and in the end, Monreal didn’t know whether to push up and hold his line. Suffice to say, Spurs punished Arsenal twice because of his (understandable) hesitancy. Arsenal fans have been spoiled by great strikers in the past. In the season gone by, however, they’ve just been treated to one. And it’s been an admirable job done by Olivier Giroud, one that he should never had been forced to do by himself but Wenger probably persisted with him for so long because of the type of striker he is. He can do everything. Giroud’s technical (for a big man), can hold the ball up and bring others into play, runs the channels well and works very hard. That means it carries little risk for a team that is still adapting to each other mainly. As such, acts Giroud as bit of a buffer, lessening the impact of this adjustment period by taking hits for the team as they strive to find better balance and understanding. By the same token, that’s probably why Wenger is willing to overlook some of his deficiencies – namely his goalscoring, which fans are understandably less forgiving of (only three goals away from home; two of those outside London but in the Champions League) – if Giroud makes the team play. Arsenal ended the season using Podolski as the focal point. He performed solidly if not spectacularly making an addition up front inevitable. Which raises a lot of questions. If Podolski ended the season as the second striker, surely he will end the next season as the third. Because considering how little the 2nd choice striker has played in recent seasons – Podolski got just four games up front and Marouane Chamakh just one start before – that means he’d mainly be used as a left-winger again (where he played well) or perhaps Wenger has designs for a 4-4-2? 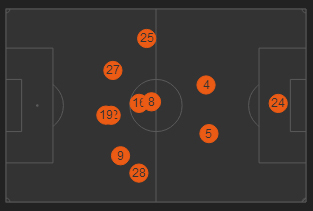 Pleasingly, though, goalscoring was shared between the side showing the attacking potential the team has. But there is no doubt that a consistent focal point (despite the arm-waving and the focal pointed-ness that Giroud brings) will improve Arsenal immeasurably so credit must go to the players for picking up the slack. In orderv that goes Theo Walcott with 21 goals, Giroud with 17, Podolski 16 and Cazorla with 12. Well done. If you add sixth placed Everton to the list, Arsenal only won seven points in ten games against the best teams in the league. I don’t think it’s crucial to come out on top of the mini-league – although it’s never good to finish bottom – but it’s a good indicator of quality. For one moment last season, the left-back position was the most talked about position. Andre Santos’ confidence inexplicably dropped, Thomas Vermaelen looked very uncomfortable in the role when he filled in while Kieran Gibbs’ injury niggles were a concern. In late January, Arsene Wenger recruited a bona fide quality left-back in Naxto Monreal and thus started an engrossing battle for places in the ensuing months. For a while, it looked like Monreal was leading, testament to the way he adjusted to the English game. But as Wenger gave chances for both players in alternating matches to stake their claims, Kieran Gibbs took his game to another level and has arguably surpassed his Spanish team-mate. Going forward, Gibbs has always been quick but his recovery speed is now an essential form of defence going back. There are subtle differences to the way Arsenal build up from the left to the right, and whoever plays there must show unexpected bursts of pace. Both left-backs do that well but Gibbs perhaps does it better. There was a period in the season when Jack Wilshere looked unstoppable. It was a pity then, that at the time, The Gunners were going through a stinky spell of form. He was thrown in straight away after recovery from injury against QPR at home and was then sent-off in the next match against Manchester United. But his attacking potential grew more evident as the matches were thrown at him. In various games, he drove Arsenal forward, played killer balls and glided past opponents and was fouled a lot. 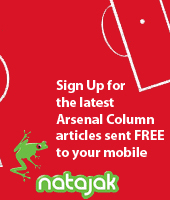 There’s an assertion that he’s too “English” in nature to play the Arsenal way. Bull. He’s just very young and needs to channel his talents better in a tactical framework. Wenger can help him do that. In the final managerial move of the season, Arsene Wenger pulled Wojciech Szczesny out of the side to allow his brain to recuperate. The reasoning seemed strange at the time but there was no doubt that Szczesny was going through a bad spell of form. However, it turned out to be an inspired move for a number of reasons. Firstly, as talked about and as Wenger once said, goalkeeping is the one position where there is “negative stress” and the culmination of errors had taken it’s toll on Szczesny. Secondly, it was a crucial time in the season so Wenger brought in Lukas Fabiasnki, a player who was fresh in the mind but also fighting for his Arsenal future. The run of five games might have just convinced Fabianski to remain at the least for one more season and maybe even beyond. Thirdly though, it gave Szczesny a taste for what it’s like to be in competition for places because in two-and-a-half seasons he’s been number one, he’s never been under any real pressure for his spot. Putting Fabianski in goal for a few games gave Szczesny a taste for potential life on the bench but when he came back, he produced one of the saves of the season when he denied Loic Remy against QPR to secure a crucial three points.